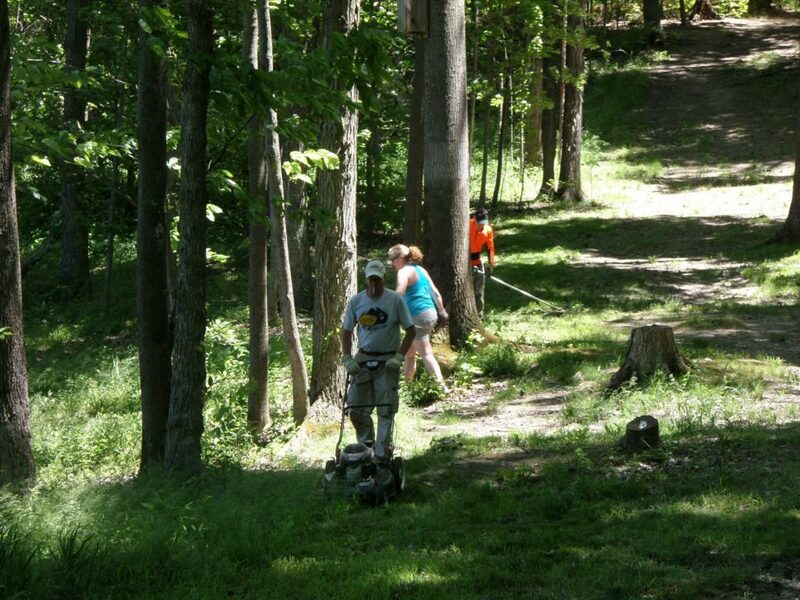 We are getting ready for Pun’s Labyrinth V July 23 & 24th this year located in beautiful Punderson State Park in Newbury, OH! The course has been kept up by our very dedicated volunteers as the park staff has only been doing some minimal mowing and right now looks its best ever! Although our course is in a State Park, that doesn’t mean that the park maintains the course. 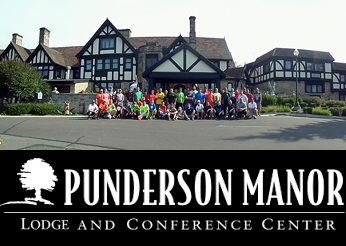 Currently the Friends of Punderson are responsible for the upkeep, maintenance and running our events. The Island is in, however the island basket WILL NOT BE IN PLAY for the tournament. We look forward to it being an addition to our weekly leagues and maybe some other events however right now it is not “tournament ready”. This year we will also have another epic prize raffle! Please bring CASH as we may not be able to take credit cards the day of the event. ANYONE is allowed to participate in the prize raffle as it is a fundraiser for our course/events. If you cannot stay for the prize raffle, you will have to tell Cupcake directly who you are trusting to collect your winnings for you, otherwise we will draw another winner. We cannot afford to ship prizes to winners. 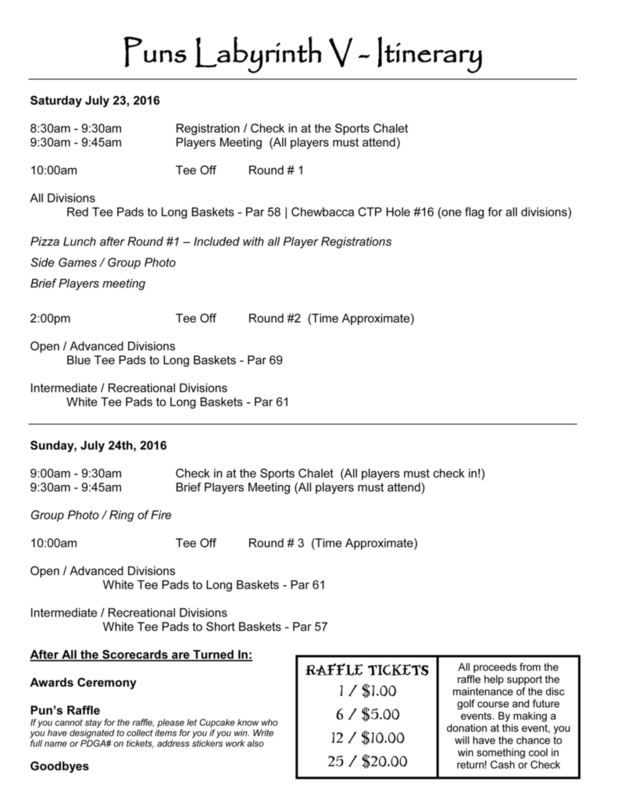 All proceeds from the raffle go back into the disc golf course and future events! 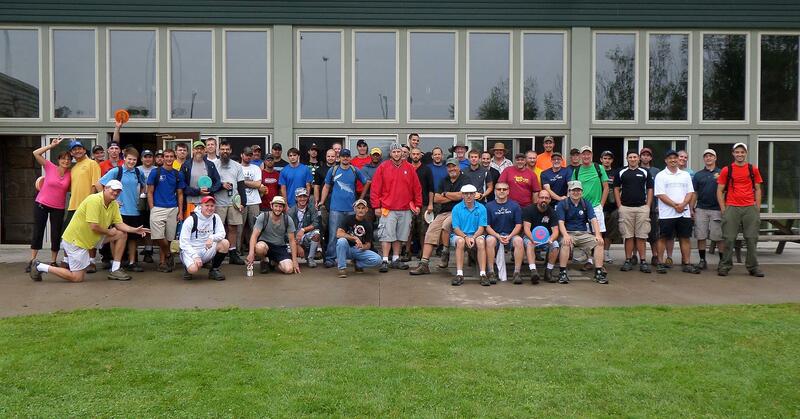 It is the best time to make a donation to Punderson’s Disc Golf Course. Please visit Disc Golf Scene for all of our wonderful prizes this year including a Zuca, Inc. Cart (formerly Ridge Roller donated by Zuca), a Dosh Board Golf Game (disc golf board game donated by Dosh Board Golf), Lake Erie Monsters tickets for the 2016-2017 season, Lake County Captains Tickets, tickets to the Improv Comedy Club, a large Discatcher Sport portable basket and a Discatcher Mini Basket along with a ton of other great items this year! We are expecting some very HOT weather, with current temps predicted to be in the mid 90’s – please make sure to bring everything you need to stay cool and hydrated! We will try to provide some water out on the course as well.